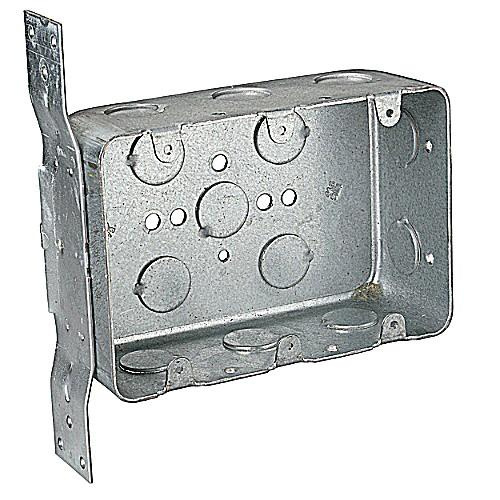 Thomas & Betts Steel City® 3-Gang Rectangle device box features drawn steel construction and galvanized finish. It has three 1/2-Inch knockouts in each side and two 1/2-Inch knockouts in each end. It measures 4-Inch x 5-13/16-Inch. This device box has capacity of 44.3-Cubic-Inch. It is suitable for use with conduit. Device box is UL listed and CSA certified.